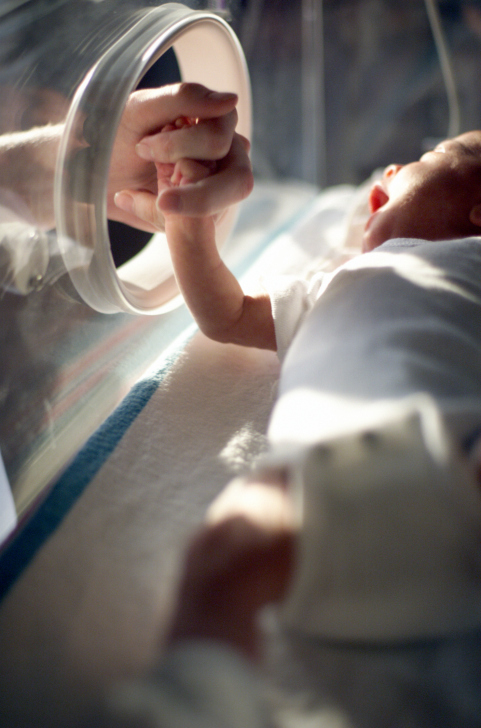 Eisbrouch Marsh’s our team of birth injury attorneys in Massachusetts have built their careers on a commitment to aiding families of babies who have been harmed during the labor and delivery process. We pride ourselves on providing each client with an unsurpassed level of personalized, compassionate representation during what is surely among the most trying times of their lives. Our lawyers pledge to fight for maximum compensation as well as justice for those who have fallen victim to preventable medical negligence. Watching your child struggle with debilitating injuries and developmental delays that resulted from medical errors or omissions during birth is one of the most wrenching things a parent can experience. When this type of tragedy occurs, many parents wonder how they will ever be able to afford the years of medical therapy, treatment and continued care their child is almost certain to need. If your son or daughter has been the unfortunate victim of a mishandled labor and delivery process, the medical malpractice attorneys here want you to know that you are not alone. We are ready and willing to undertake a thorough investigation of the facts of your case, provide candid opinions and guidance as to the proper course of legal action to take and fight hard to hold accountable those responsible for your child’s condition. Every jurisdiction across the United States places limits on the time potential plaintiffs have to file legal actions of all types. In Massachusetts, medical malpractice actions in cases of injury or death must be brought within three years of the date the claim accrued. This statute of limitations is the same whether the plaintiff is a child or an adult, though a claim on behalf of a child less than six years of age can be brought at any time before the child turns nine. The time for filing this sort of claim is tolled, or halted, while a plaintiff is deemed disabled for purposes of filing suit, and will begin running again once the disability no longer exists. Some state legislatures have imposed caps on the dollar amount of damages that plaintiffs in medical malpractice cases may receive. In Massachusetts, juries are instructed that, should they find a defendant in such a case liable, they are not to award plaintiffs over $500,000 for things such as pain and suffering, loss of familial relationships, embarrassment and the like. However, there are exceptions in cases where a plaintiff has suffered substantial or permanent impairment or loss of a bodily function, substantial levels of disfigurement or when there are other extenuating circumstances that make such a limit manifestly unjust. It is important to note that Massachusetts has legislatively waived sovereign immunity and has done so for all of its counties and municipalities. However, public employees enjoy immunity from liability, because the exclusive remedy for damages in medical malpractice cases is against the state itself. Public entity liability is limited to $100,000, and public entities are never liable for pre-judgment interest or punitive damages. Before filing suit against a public entity, plaintiffs must give written notice of their claims, and this must be done within two years of the date the injury occurred. In birth injury malpractice lawsuits, plaintiffs need to establish, through the use of expert testimony, that the professionals attending the labor and delivery process acted in a way that was inconsistent with the accepted standard of medical care. Stated differently, it must be shown that the doctors, nurses or other individuals in question did not conduct themselves in the way a reasonable specialist in a similar situation would have done. The findings of the panel and any expert testimony presented to the panel are admissible at the time of trial. Should the panel find against the plaintiff, he or she will be required to post a $6,000 bond to pay the defendant’s costs if the claims fails at trial also. This amount can be increased if the court sees fit. The Massachusetts birth injury lawyers of Eisbrouch Marsh have succeeded in establishing an extensive network of case investigators, medical experts, researchers and legal support staff, all of whom work collaboratively to review records, gather evidence and make the very best case possible on behalf of the clients we serve. The legal system affords the victims of birth injury malpractice an opportunity to seek financial compensation as well as justice. It is possible to file claims against nurses, doctors, assistants and hospital facilities themselves. The large number of potential defendants is warranted in large part due to the seriousness of the harm that can occur during labor and delivery, ranging from spinal cord damage to developmental delays to cerebral palsy. What makes birth injuries even more devastating to families is the fact that in far too many cases, the harm sustained was quite preventable. Failures in the areas of fetal heart monitoring, fetal position observation and proper dosing of labor medications are a few of the errors that can cause lasting damage. Physician failure to order a Caesarian section in a timely manner when circumstances demand is one of the most common causes of birth injuries that lead to a lifetime of disability. If your child sustained a serious birth injury during the labor and delivery process, and you suspect that medical negligence may have been to blame, you owe it to yourself and your family to contact us. We are prepared to provide a complete evaluation of your case and give you the information and guidance you need in order to make sound decisions about next steps. Because birth injury victims often require years of expensive medical care, rehabilitation and therapy services, parents of such children may begin to panic about how to pay for such specialized treatment. Fortunately, Massachusetts has recently seen several substantial settlements and verdicts in birth injury cases that should provide some cause for hope among prospective plaintiffs. If your child has been seriously harmed by medical negligence at the time of labor and delivery, we understand the range of emotions you are likely experiencing. The heartbreak, emotional distress and financial uncertainty that severe birth injuries inevitably cause have likely left you wondering where to turn. We invite you to take full advantage of our 45 years of experience fighting for the rights of medical malpractice victims and allow us to seek the compensation and accountability you and your family deserve. To begin the process of exploring a birth injury lawsuit on behalf of your child, contact us at 855-60-BIRTH to schedule a free initial consultation.